As shown to the right, there are specials available for everyone on almost any day! There's something for everyone! Be sure to check our Facebook page for other specials. El Mariachi's Gift Certificates are available for purchase! These make perfect gifts for Father's Day, Graduation, Birthdays, and any other celebration. Call 215.766.9130 or stop by the restaurant to purchase your gift certificate today! El Mariachi's menu is also available for take out! Call 215.766.9130 to place yourorder. El Mariachi offers a wide variety of delicious and authentic Mexican dishes - like the one shown above. 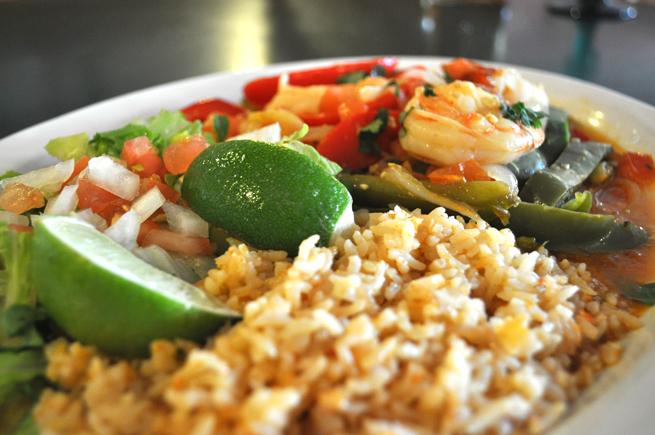 Whether you're in the mood for chicken, shrimp, steak, or veggies, El Mariachi has something for you!